What is more beautiful than an autumn sunrise? 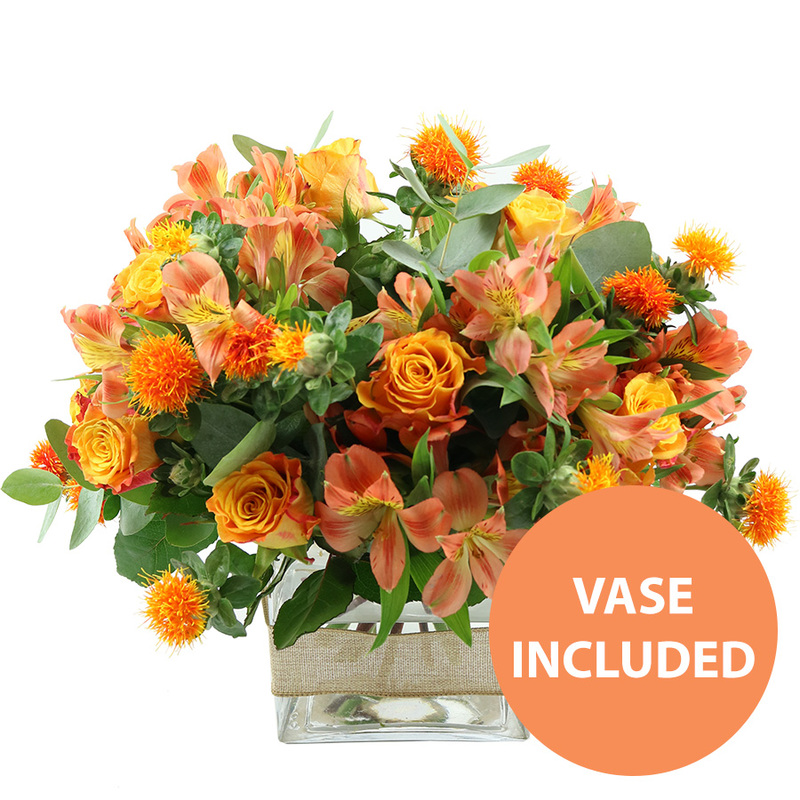 Display this warm mix of roses and alstroemeria right at home or send it as a gift to someone special. I sent flowers by post to me, because I deserved a treat. I suggest that those of you treat yourselves, to a bouquet yourself! Delivery was as expected, arrived in tip top shape. As for presentation? What can I say? The autumn golds and oranges were quite generously packed among lush greenery. Loved it! Brilliant flowers! Recipient was surprised by the thought, and I was happy with the results. The mixed daisy assortment was arranged well, and the autumn, rust coloured highlights suited it perfectly. I have no idea how you make your bouquets quite so fantastically gorgeous, but whatever you do, I hope you don't stop. Really very impressed with the floral arrangement I received, it looked so fresh and really brightened up the room. I order flowers all the time for work and these are by far the most attractive I've purchased. Definitely found our new florist. Every time I order a bouquet from Handy Flowers, people are always complimenting it and asking where to get them from. They're always surprised that such an incredibly beautiful bouquet could be so affordable too. Absolutely gorgeous flowers. They looked good on the website but absolutely blew me away in real life. Thanks Handy Flowers! Very charming bouquet with so much varity of colours. My cousin loved the flowers and how couldnâ€™t she they were so charming ! Thanks for the help and professional customer care.